At The Spine Care Center in Manassas, we know how painful and life-disrupting pinched nerves can be. If a pinched nerve is compromising your quality of life and preventing you from living life to the fullest, then get in touch with the experienced and compassionate spine doctors at The Spine Care Center of Manassas for an appointment. 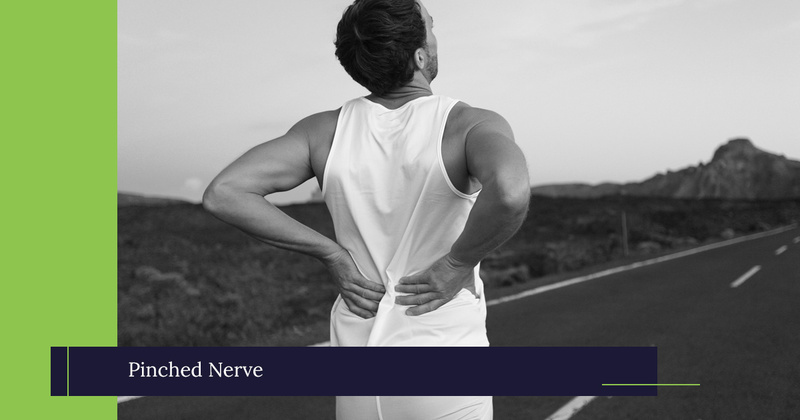 Continue reading below to learn more about the causes, symptoms, and treatment options for pinched nerves, and reach out to us today to take the first steps toward a pain-free life. Your spinal cord is essentially a bundle of nerves that runs straight through the center of your spine bones (vertebrae). These nerves also branch out between your vertebrae to transmit signals to your arms and legs. We will help you determine the underlying cause of your pinched nerve and develop a care plan to help you find relief. A spine care expert can relieve these symptoms, often through nonsurgical treatment. Your doctor will ask about your pain during your initial appointment. They will likely ask you what may have caused it, as well as what aggravates it or relieves it. Your doctor will also perform a physical exam during your consultation. They may ask you to perform some simple movements to evaluate your mobility and assess how certain movements affect your pain. Your doctor may also order imaging tests such as an X-ray or an MRI. These tests can reveal the cause of a pinched nerve, such as a bone spur or a herniated disc. Your doctor may also perform nerve tests. Nerve conduction studies are a common, painless procedure in which your doctor will place small electrodes on the arm or leg associated with your symptoms. These electrodes measure the electrical signals traveling through your nerves. If a nerve is pinched, then you will have less electrical activity in the nerve. The highly skilled physicians at The Spine Care Center offer personalized treatment for pinched nerves. Using their advanced training and experience, our physicians accurately diagnose the cause of your pain and provide safe, effective treatment to relieve it. We have helped thousands of patients throughout Manassas and the surrounding areas find lasting pain relief from pinched nerves and the conditions that cause them. Our expert physicians have been recognized as Top Doctors numerous times in both the Washingtonian and Northern Virginia Magazine for their quality care. More than 90 percent of our patients find long-term pain relief without resorting to spine surgery. However, if your pain is not relieved within a few months of other treatments, spine surgery may be the best solution for your pain. Our expert spine surgeon, Faisal Siddiqui, MD, can help you decide if surgery is right for you. He performs the most advanced endoscopic and minimally invasive spine procedures, in order to relieve your pain with fewer surgical risks. Relieve the pressure and pain of a pinched nerve. Call The Spine Care Center in Manassas today or request an appointment online to find the back and neck pain relief you deserve.